Many Mark Knopfler fans like Eric Clapton and are familiar with his work. Especially his live album Just one Night from 1979 was a milestone in his career. It features a live version of Setting my up – a Mark Knopfler song from Dire Straits’ first CD. However, many do not realize that this cover version has not much to do with Eric Clapton. Instead this song was meant to feature Albert Lee who plays the second guitar on this tour. He had just recorded Setting me up in the studio for his solo album Hiding (1979). In a similar way Mark Knopfler played one of his songs – Money for Nothing – when he went on tour with Clapton in the late 80ies. The album Hiding was not available on CD until a few year ago when it was reissued. It is a well-produced album with about 20 laid-back country-rock songs, something many Mark Knopfler fans will probably like. 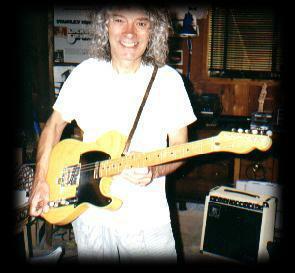 Albert Lee is a fantastic guitarist of course. He is one of the ultimate Telecaster players (although today he plays his Music Man signature model a lot). 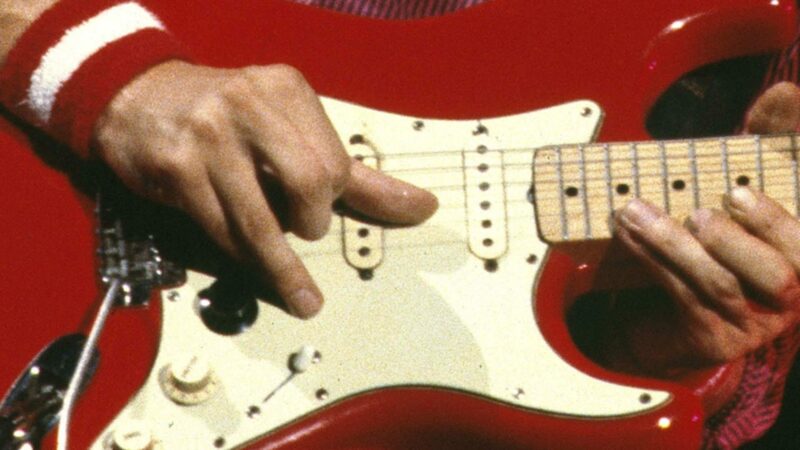 He perfected the pick-plus-two-fingers approach, a bit similar to Richard Thompson‘s picking technique. You can buy the CD on Amazon, simply follow the link for your country (US, Germany, UK) below. Great post Ingo! I’d never heard the studio version of Setting Me Up by Albert Lee before, it’s a really decent cover of a great song. Must say I really like the entire Just One Night live album by EC, maybe his best inho. In a comment on an earlier blog article on Setting Me Up I already asked for some advice on improvising in de solo bits of this song in standard tuning. Could you shed your light on this? Maybe some tips and tricks… What scale to use? Standard A major or pentatonic? What addtional notes to use or to ommit? Thanks for all your fantastic articles and video lessons! great post! We want more, we want more! Only 22, but i’ve always had a specialï»¿ feeling when i hear his song and i can honestly say it’s my favorite.